The Diffusion Race Lab was our second lab that we just completed. We had a race to see whose beaker has glucose present in the water first. 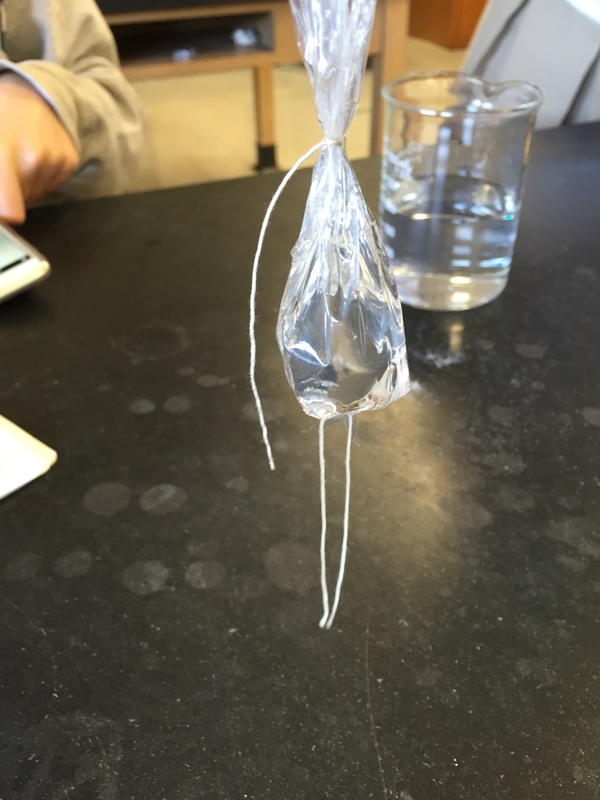 My group and I made a plan – we filled a dialysis tube with 0.3 mL of glucose and 15 mL of water. 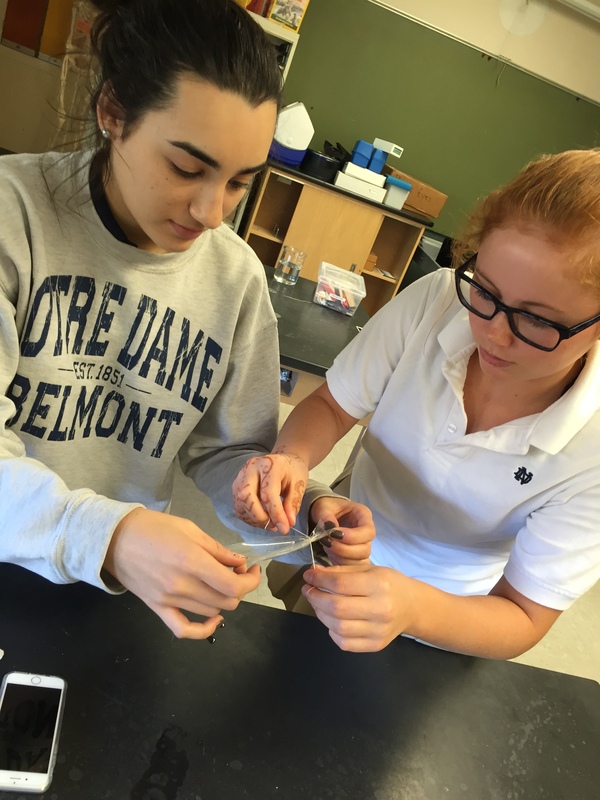 We first tied one side with string, added in the solution, and then secured the other side with string, again. Next, we put the tube in a beaker filled with deionized water. 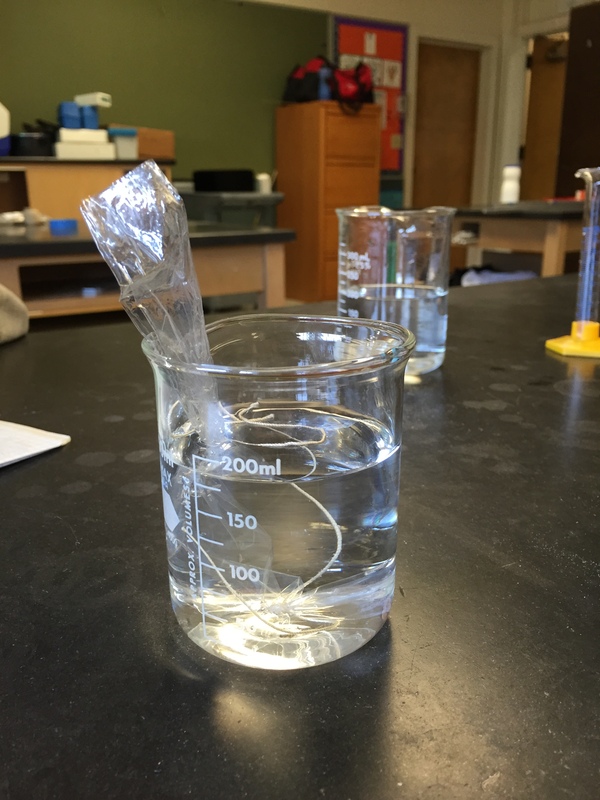 After five minutes, we checked the solution with a glucose test strip to see if glucose had diffused out of the dialysis tube and into the deionized water. There was no change in the color of the test strip the first time we checked. 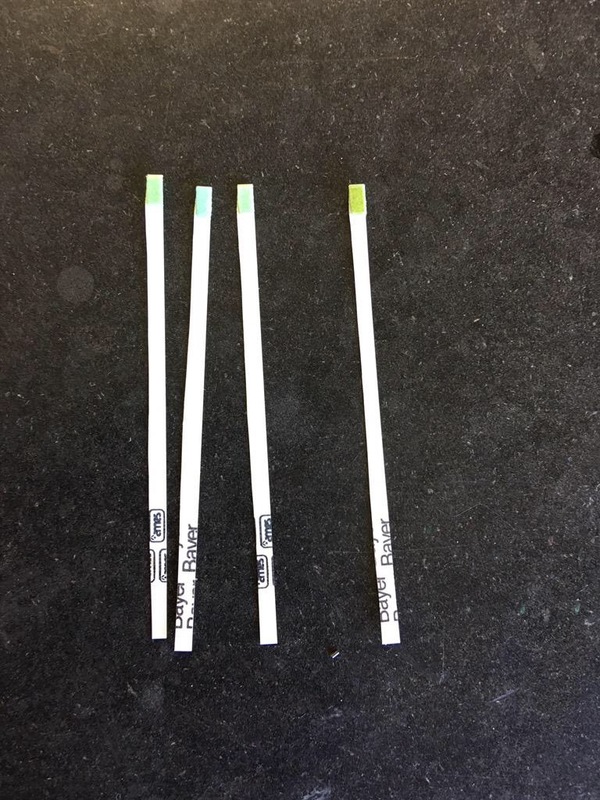 After the third time, we did notice a change in color of the test strip, indicating glucose had diffused out of the dialysis tube and into the deionized water.